Yum! These look perfect for a lunchbox option! I usually only buy rolled oats, could I just blitz them up to use instead of buying quick cooking oats as well? 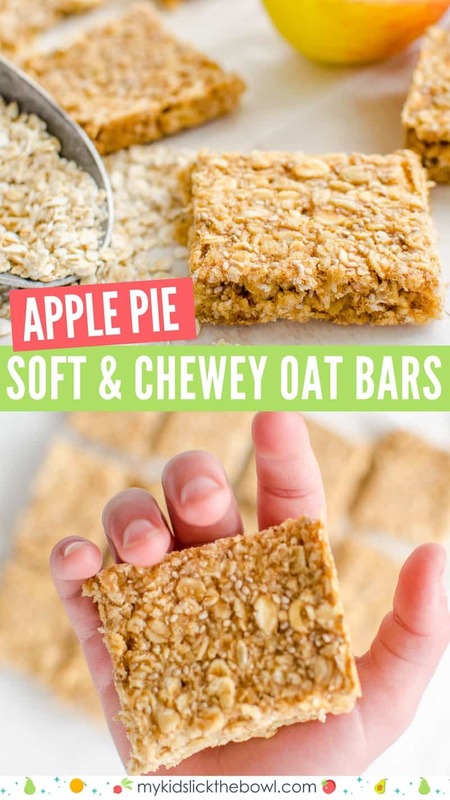 With this apple pie oat bar recipe, are the chia seeds supposed to be soaked first or can they just go in straight from the packet? My 4 and 6 year olds love these! Thank you!